iPad – Revolutionary? Or Evolutionary? No, it isn’t a marketing graphic for the Apple iPad. 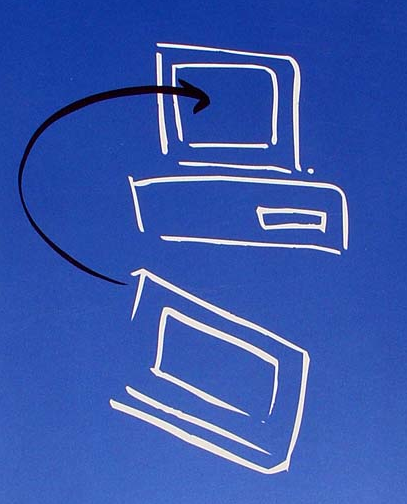 It is the cover of a 1992 manual for the GO Pen Computer. Lately, there’s been a lot of media hype over how Apple is changing the face of computing as we know it. The cover article in Time Magazine (Inside Steve’s Pad) kinda took me over the edge. Et tu, Time? Not that I’m all that surprised, Time is definitely staffed by “unabashed Apple fans”. Really, I like the idea of Tablet computers, E-Readers, and so on. I wouldn’t mind owning a Kindle, though I don’t like the idea of not “owning” my books and the fact that the technology allows Amazon to remotely delete items I purchased . I refuse to purchase books like that. The idea of ownership of things is important to me. As much of a “liberal” as I may be, property is something that I greatly value. Which is why I don’t plan on purchasing an iPad. I also won’t begrudge those that do, after all, it looks like a very well done device. Still, Apple tightly controls what I can and can’t do with it. That however, is not the point of this post. The point is about those in the media insisting this device will “change computers”. Apple is great at marketing their originality, but when it comes down to it, the reality is far different. Let’s take a stroll down history. 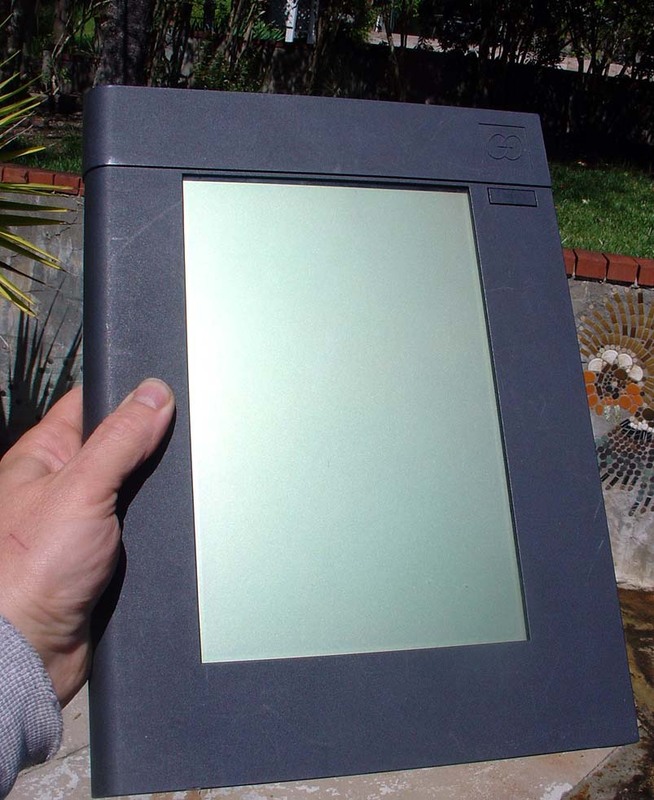 1989 – GridPad tablet computer is the first ever Tablet computer to be released. 1992 – The GO tablet computer was released (pictured above), later followed by the GO based AT&T EO 440. Revolutionary annoyed me then too. 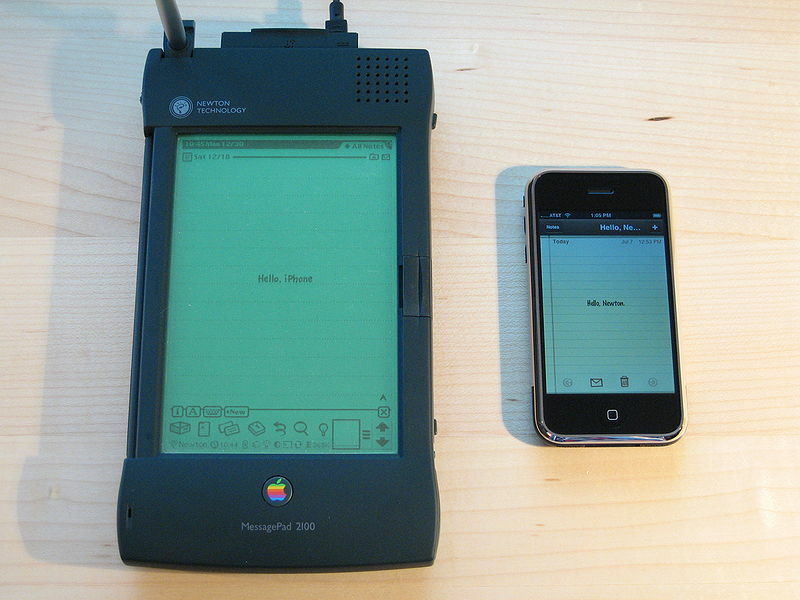 Mostly because I’d had a lot of fun with the Apple Newton a few years before that. At the time, my thought was OMG Ev1l Micro$oft steals idea from Apple l33t engineers. After working in the industry for a bit, talking to people beyond the shaded ivory towers of academia, and feeling a few hard knocks, I was a lot more receptive when tablet computers began making a new appearance. Slightly before the Kindle was released, I visited a bookstore for my standard movie + fiction books run, and discovered an E-reader on display. Working in the industry on consumer devices, I get to see and hear a lot of opinions about technology from a creator’s perspective. I knew seeing that device, there were more in the wind. At certain points, evolution hits a tipping point were people can look at something and say “wow, that’s it”. Apple wasn’t the first to launch a “tablet device”. But, more importantly, the oncoming numerous Tablet devices we’ll be seeing aren’t cloning or ripping off Apple’s invention. Like Apple, they’re standing on the shoulders of a great many devices and ideas from the past. All this to make a couple points. The iPad isn’t going to bankrupt Amazon or kill the Nook. It’s not going to change the way everyone uses computers overnight. What will it do? Move a cool technology that’s finally ready for prime time into a more mainstream audience. And that is why the iPad is awesome.